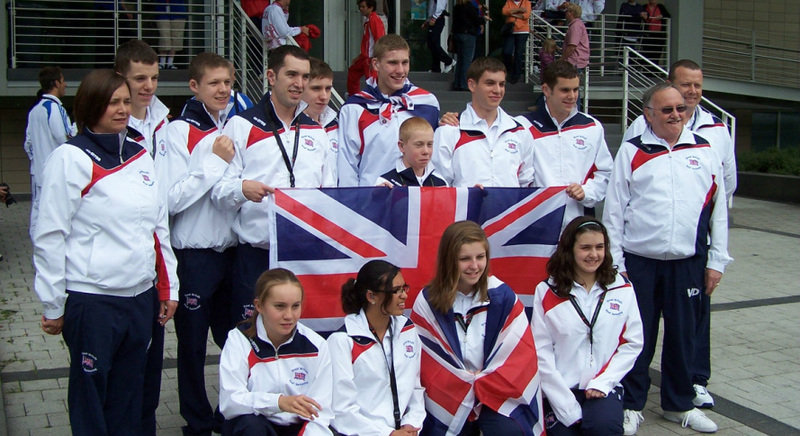 Congratulations to the whole GB Squad who took part in the European Swimming Championships 2010 in Dortmund Germany. Below is a diary of events that took place at the Championships. After meeting up at 8.30am at Luton airport on Saturday 19th, the swimmers, coaches, director and supporters finally arrived in Dortmund. Whilst the parents and other family members settled into their rooms, there was no rest for the swimmers! Off they went straight to the pool for a training session! Sunday was yet again a day of rest for the supporters, whilst the swimmers were yet again in the pool in the morning. Later in the afternoon all swimmers and supporters made their way to the pool for the opening ceremony. The first day of competition saw all of the 12 swimmers compete. 5 swimmers reached finals that day which saw them back at the pool later that afternoon. Best position of the day came from Emily Noden in the 400 Free (5th) Lucy Walkup in the 100 Back (5th) and Sam Chamberlain in the 100 Breast (5th). Other finalists were Jack McComish 100 Breast (6th), Emily Noden 200 IM (6th) and Alexander Cranford 8th in the 50 back. Two relays were also swum on day one; the mens 4 x 100 Medley, swimmers in this relay were, Alexander Cranford, Sam Chamberlain, Jack Mccomish and Euan Cheyne. Also the Girls 4 X 100 Free, swimmers in this relay were, Lucy Walkup, Annabel Towns, Sobia Walton and Emily Noden. Both teams finished a credible 5th. Day two saw a further 5 individual finals; Emily Noden swam in the 100 free (8th) and 50 fly (8th), Annabel Towns swam in the 100 Free (7th), Alexander Cranford in the 400 IM (6th). Jack McComish also made it to the 400 IM final but sadly did not finish the race.he was saving himself for the 4 x 200 relay! What a relay it was, Luke Nixon took the lead off leg and put GB into 5th, Jack McComish had a wonderful leg he put the team into bronze medal contention, Alexander Cranford took over and held that 3rd position, Daniel Voss took the anchor leg and swam for his life! The GB supporters were on their feet cheering Daniel home as the fast approaching Polish champion was closing in. Daniel managed to hold on to give Team GB their first medal of these championships. All four swimmers were overwhelmed; Jack and Alexander were soon on their phones to their parents to tell them of their news. Soon afterwards the girls were in action in the 4 X 100 Medley; the girls put in a good performance and managed 5th position. The swimmers in this relay were, Emily Noden, Annabel Towns, Lucy Walkup and Sobia Walton. After the previous days events the team moral had been lifted with the bronze medal and all swimmers were eager to compete on day three. Day three did not disappoint. No less than 6 individual finals. Alexander Cranford swam in 2 finals, the 400 free (8th) and the 200 IM (6th). The only girl finalist of the day was Lucy Walkup who swam in the 100 Breast and finished 7th. The GB final of the day was the Mens 200 Breast, ranked 3rd and 4th in the preliminaries, Jack McComish and Sam Chamberlain went head to head for that bronze position. Both swimmers started well, at the 50, 100 and 150 mark there was not much to choose between. Jack edged it in the final 50, which left Sam in 4th. Whilst Jack received the bronze medal, Sam should not be forgotten in 4th place, both swimmers swam a further 4 seconds faster than they did in the heats. Well done boys! A day of rest from competition then followed, although the swimmers did have a training session. Luke Nixon was the only swimmer not in the pool he was in Cologne sitting a GCSE exam. Many of the parents and supporters had a day off too; some have better memories of the day than others (some had big headaches the following day some cannot remember at all)! On Friday 4 swimmers made individual finals; Emily and Lucy swam in the 50 back final, Emily finished in 5th with Lucy in 8th; both swam PBs in the final. The mens 50 breast final saw Jack and Sam going head to head again. Sadly, no medals this time. Jack finished in 6th position and Sam in 7th in yet another PB. On this day the longest distance in the pool was swam, the mens 1500 freestyle. All 3 Britons made it to the final the following day, Jack McComish, Alexander Cranford and Matthew Whyman. Also Emily Noden, Annabel Towns, Lucy Wlkup and Sobia Walton swam in the Girls 4x200m freestyle relay. Saturday was the last day of competition. Again Team GB had many finalists. The 1500 free was the start of the finals, Jack McComish swam yet another PB and finished 4th whilst Matthew Whyman swam a further 17 seconds PB to finish in 7th. Alexander Cranford decided not to swim this final as he was saving himself for the 200 Backstroke final, where he finished in 7th position again in a new PB. Annabel Towns took to the pool in the 50 free final and finished 5th, again improving on her time from the heats. Emily Noden swam in the 200 free final and was 7th, knocking a further 3 seconds off her preliminary time. Jack McComish was also in action in the 200 fly final where he finished a credible 5th, after swimming the 1500! The mens 4 x 100 freestyle team also swam, alas they could not get into a medal position, they finished 4th. The swimmers for this relay were, Euan Cheyne, Luke Nixon, Tom Baxter and Daniel Voss. Congratulations to Jack McComish (15) who received a special award he was the youngest male competitor to achieve a top 3 placing. Congratulations must also go to Angela Holmes for putting the team together, who was supported by Vincent Dickson and Martin Lee. The GB supporters were fantastic throughout, many thanks to the parents and other relatives who turned up to support the swimmers. They certainly out cheered the rest of Europe.